With more and more consumers choosing video streaming services as their main source of content, “cord cutting” or disconnecting from traditional pay TV providers has become prevalent. Because of this, providers have experienced a significant reduction in subscribers, particularly the millennial contingent who use tech devices predominantly for media consumption; over 87% using two to three tech devices at least once every day. As many of these devices are portable and connect over Wi-Fi, service providers have had to make a strategic shift from being pure pay TV providers to becoming broadband providers since Wi-Fi is the main touch-point for broadband services. Due to the many Wi-Fi touch-points such as laptops, mobile phones, tablets and security cameras, and the rapid growth of IoT, Wi-Fi has become strained beyond its capacity. Now, the most pressing need for providers is to ensure that Wi-Fi can deliver the full range of broadband and pay TV services within the home, like internet and data, home and hotspot services, over-the-top content, smart home apps, cellular offloading, and more. Many have attempted to address the issue. Although on paper the latest IEEE 802.11ac Wi-Fi standard supports bit rates quite high enough for super broadband and premium HD services, in practice a number of factors including over-the-air traffic congestion, building construction and interference can cause intermittent performance and dead zones with no signal at all. Furthermore, these days, users expect to have high-speed connectivity in every location in the home to support high bandwidth applications, as opposed to the minimum connectivity requirements in the past. In practical terms this means that if your child is downloading a heavy game file from the internet, or is streaming an HD video in his bedroom and you are using Skype in your home office, you may experience a considerable decrease in your connectivity speed as video streaming and file-downloads are bandwidth heavy applications and may dominate the home wireless connection for all users and applications trying to use it. If you are watching a Netflix HD movie in the living room, you may experience artifacts. If your router is located in the TV room downstairs, your connection may decrease even further as the signal has to go through walls and floors, which weaken the signal. For providers, this results in more service and truck calls, which increases operating expenses, reduces customer satisfaction and increases customer churn. The end user is not satisfied with the quality of experience and grows frustrated. As opposed to modern technologies like 4G/LTE, which were designed from the ground up to support multi-client/multi-service applications with guaranteed quality of service, Wi-Fi, which is a 20+ year old technology, was invented with very simple use cases in mind. As such, it is best effort in nature, with no inherent quality of service mechanisms. Wi-Fi was not designed to support today’s complex use cases in which a single home-router has to support a multitude of client devices with the very high and consistent speeds required for video and data, while ensuring whole home coverage and no dead zones. Some common solutions in the quest to increase speed and range are to increase the number of antennas, make Wi-Fi smarter and deliver advanced technologies such as MU-MIMO (multi user smart antenna technology), but which can only be implemented when the new 802.11ac standard goes into effect. However, speed is not the Holy Grail and there is a simple and intuitive explanation as to why. Imagine that Wi-Fi is a road and the different video and data packets transmitted to devices are different kinds of vehicles. No matter how fast your car may be, if you are stuck behind a truck you will not be able to achieve your top speed. Sure, you can build a multi-lane highway, but if you have no traffic control mechanism controlling which vehicle can get in which lane at each point in time, you may have three trucks in all three lanes, which means that you are still limited. And with Wi-Fi, no matter how fast and advanced your Wi-Fi router is, if the Wi-Fi medium is occupied, or stuck, with an endless stream of low speed data packets, the Skype connection to your super advanced laptop would be stuck at low speed as well. Luckily, new Wi-Fi standards and technologies being built on top of them help address these issues. Wi-Fi chipset designers like Qualcomm and startups like Israel’s Celeno are building advanced functionality to help chips extend Wi-Fi’s range, allow for more devices to use high-demand applications simultaneously, and even to allow “tangles” of multiple access points to better manage themselves through interesting tech solutions called self-organizing networks. Although beamforming has been implemented in Wi-Fi routers for quite some time, beamforming was not always possible, depending on the user’s device. Beamforming is when the router directs the Wi-Fi signal to a specific target instead of to a wide range of space. For example, consider a house full of parents and children using multiple devices at different times. Whereas a regular router would direct the signal to the entire house at all times, beamforming directs the signal to only the specific areas in the house where the devices are in use at that specific time. This allows the Wi-Fi router and the user’s device to send and receive data more effectively, allowing for improved bandwidth allocation and increased Wi-Fi performance. In 2007, the 802.11n wireless routers were rolled out with new technology called single user multiple-input multiple-output, otherwise known as SU-MIMO. SU-MIMO gave routers the ability to simultaneously transmit data between multiple devices, allowing for greater internet speeds. Although the SU-MIMO could handle multiple streams of data, it could only communicate with one device at a time. Since then, wireless routers have been integrated with upgraded technology called multi-user multiple-input multiple-output, otherwise known as MU-MIMO. MU-MIMO solved the problem of SU-MIMO by allow routers to transmit and receive data from multiple devices at the same time. 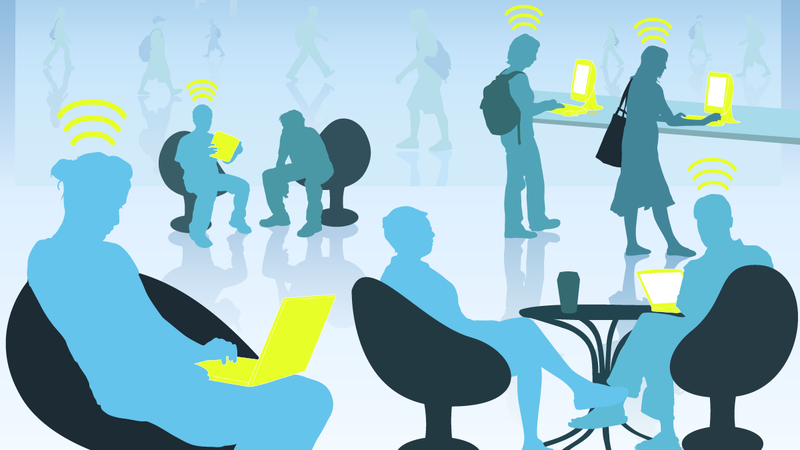 MU-MIMO technology is most helpful in areas with public Wi-Fi hotspots where previously the SU-MIMO routers would have not worked. 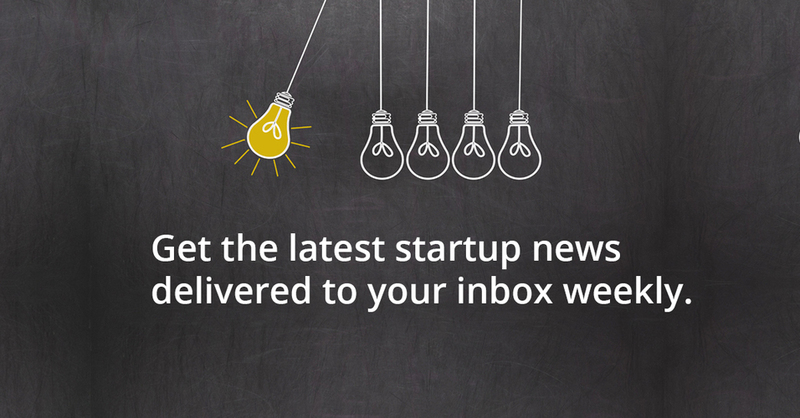 Israeli startups like Celeno go beyond these solutions by introducing technologies to better manage multiple users. Celeno has pioneered new technology for next-gen Wi-Fi in the era of high speed connectivity. One of their solutions allows them to create multiple virtual networks per service, such as the home data network, video network, hotspot network, and per device, such as TVs, smartphones, tablets, etc., all served by the same Wi-Fi access point, or router, and allocate Wi-Fi resources, or airtime, to these networks and devices. For example, they can allocate 80% to the home network (50% for video and 30% for data) and 20% to the community hotspot. They can go even further; within each virtual network they are able to prioritize services such as data, video and VOIP. For example, if you are watching an HD video through Netflix, you can allocate a large percentage of the Wi-Fi capacity to HD video to ensure a seamless quality of experience. The allocation is dynamic and can be changed according to your requirements or even the time of day. Celeno allows various applications and services to be served simultaneously over Wi-Fi with different enforced priority and capacity to ensure the best end user Wi-Fi experience. Furthermore, Celeno’s technology allows Wi-Fi signals to reach devices anywhere in the home regardless of the router’s location. In a connected world where more and more users are relying on Wi-Fi for their smart devices, the technology implemented in Celeno’s routers defines the speed at which they can efficiently operate. While next-gen internet speeds are already being introduced, Wi-Fi routers must also evolve to keep up with users needs. Solutions like beamforming and MIMO are doing their part to combat the deluge of gadgets as the need for speed increases. To find out more about Wi-Fi technologies and investment opportunities on our platform, contact our Investor Relations team or visit our website. 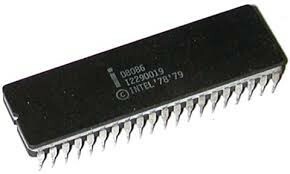 Israel’s history in the semiconductor industry started back in 1974, when Dov Frohman, one of Intel’s first employees and inventor of EPROM – the erasable, programmable, read-only memory chip that eventually led to the creation of flash memory – left Silicon Valley to return to Israel. Frohman had been asked to establish a small chip design center in Haifa, which, at the time, was Intel’s first center outside of the U.S.
Fast-forward to 2016, Intel is now the largest employer in Israel’s high-tech sector, having invested over $10 billion in the country and with exports totaling $4.1 billion. Building on such achievements, the Israeli semiconductor industry has now grown to employ over 20,000 people in dozens of companies. Almost all of the world’s leading semiconductor firms have significant R&D centers in Israel, alongside which a large number of local semiconductor companies have grown. The Israeli semiconductor industry is now one of the most advanced internationally, with the second or third highest concentration of design houses in the world. From design centers like Intel, Qualcomm, and Motorola, to cutting-edge startups like Celeno and Valens, which develop advanced WiFi chipsets – Israeli innovation in the semiconductor space has helped place it squarely at the forefront of the global technological revolution. 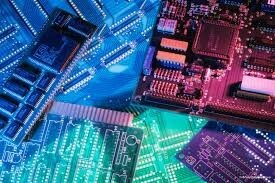 The continued success of the semiconductor industry has been paralleled by a steady increase in M&A and IPOs. 2015 was a stellar year for exits in Israeli high-tech, in general – according to the PwC Israel 2015 Hi-Tech Exit Report – which indicated M&A was up 44%, with a total deal value of $7.2 billion (increasing from $5 billion in 2014). In the semiconductor sector, in particular, the last few years have seen accelerated M&A and IPO activity. There’s nothing new about exits of Israeli semiconductor companies. Take, for example, Mellanox Technologies, which went public in 2007 with an IPO on NASDAQ that raised $102 million and a valuation of over half a billion dollars. Or Saifun Semiconductors, the Israeli chip design company, which went public in 2005 and was valued at $675 million. The tech giant Apple was responsible for two memorable Israeli exits: The acquisition of Anobit in 2012 for some $390 million and PrimeSense in 2013 for $350 million – both microprocessor chip design firms. Around the same time, Apple hired most of the Israeli employees of a chip-design division that Texas Instruments shut down in 2013, and opened a new design center in the city of Ra’anana such that, by the end of 2013, Israel had become Apple’s second largest R&D hub outside of the U.S. Recently, the number of exits in the industry has gone up. In 2014, one particularly notable acquisition was a mega-deal involving MobilEye, which developed a road accident prevention system based on a camera with artificial vision technology. Mobileye went on to raise $891 million in its IPO and was valued at $5.31 billion, making it the fifth largest Israeli company by market cap on Wall Street. A separate and significant acquisition the same year was Qualcomm’s purchase of Wilocity, the Israeli chipmaker, for about $300 million – an acquisition that was a direct outgrowth of an ongoing partnership, as the companies had been working together closely since 2008 to develop chipsets for smartphones, tablets, and laptops. 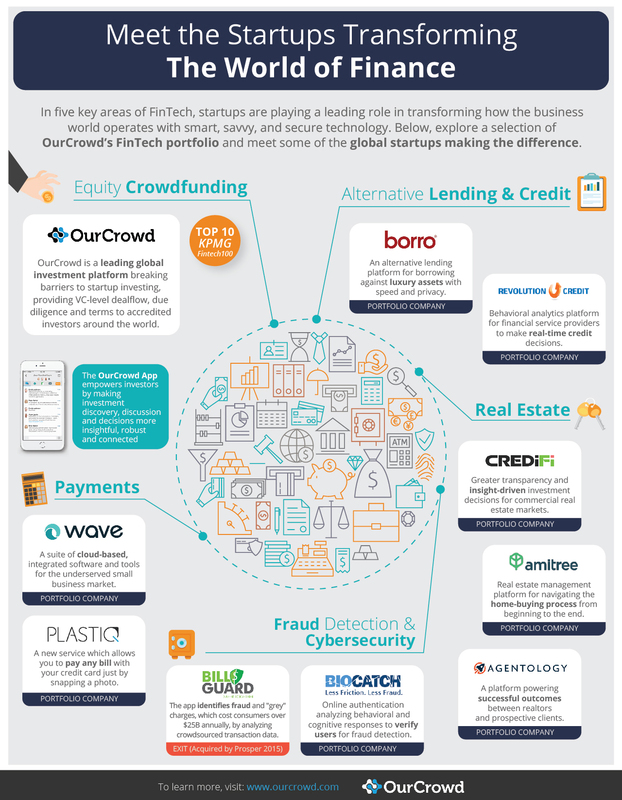 According to OurCrowd’s research, over the past decade, over 70% of Israeli semi-related companies which reached particular revenue milestones successfully exited via IPO or acquisition. Of companies that reached 10’s of millions of dollars in revenue, the average exit multiples were approximately 3x-5x forward revenue. Army experience: Israeli engineers bring to the table in-depth knowledge because of experience gained during their service in the Israel Defense Forces (IDF). In this, they have an advantage over Asian or Eastern European engineers. 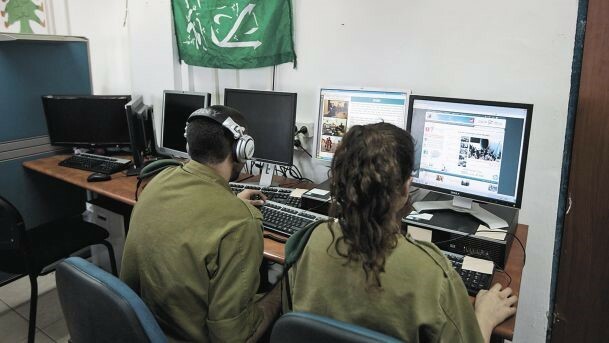 Alumni of the IDF’s Unit 8200, an intelligence corps unit that comprises several thousand soldiers and is comparable in function to the U.S. National Security Agency, have gone on to found leading Israeli companies including Check Point, Cybereason, ICQ, Palo Alto Networks, indeni, NICE, AudioCodes, Gilat, Leadspace, EZchip, ONavo, Singular, and CyberArk. A creative mindset: The Israeli ecosystem is innovative and Israeli tech companies have an ability to improvise as well as to take risks, something that’s not easy to study or copy but that is a part of Israeli culture. International firms have consistently been won over by the creativity of Israeli engineers, which has allowed them to overcome major development hurdles – for example, the achievement of aggressive specifications for low power, high frequency, and minimum die size. 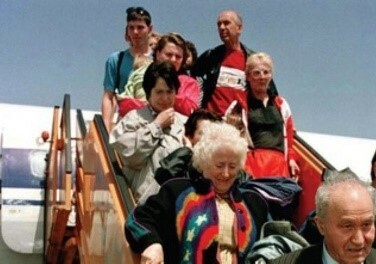 Imported expertise: In the early 1990s, Israel started absorbing approximately 30,000 immigrants per month – individuals who were fleeing the collapsing Soviet Union. By the turn of the millennium, Israel had absorbed one million immigrants from the Former Soviet Union, and this population included many talented, highly educated engineers and scientists who contributed directly to Israel’s tech scene. The Technion: Technion – Israel Institute of Technology, located in Haifa, is a prestigious university offering degrees in science and engineering, and it is cited as one of the factors behind the growth of Israel’s high-tech industry and innovation. More than 70% of Technion graduates are employed in the high-tech sector. But why the increase in exits? And what does it signify? One explanation is that the growing number of exits is a response to recent changes in the market – including increasing advantages of economies of scale, making it harder for Israeli companies to remain independent. But that’s an encouraging signal. And thanks in part to the Internet of Things (IoT), the industry seems only to be getting stronger. Shlomo Gradman, Chair of Israel’s High Tech CEO Forum, points out that that current development of IoT is pushing companies hard to make smaller and better-connected chips – to better manage the spiraling number of devices that are going to be connected. IoT is a game changer, a growth engine for the semiconductor industry – and Israel is at the core of the action. This guest post was written by Shmuel Bornstein, a Business Development and Finance Associate at OurCrowd. 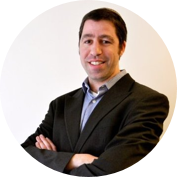 Shmuel focuses on the secondary financing of OurCrowd’s portfolio companies. With access to increasing investment opportunities spanning global markets and asset classes, it is no wonder that many investors feel overwhelmed by their choices. One of the challenges of navigating the decision waters of where to invest is the seeming inability to compare between different opportunities; what does the risk-reward profile of an Australian REIT have to do with a 10-year US government backed bond? To overcome this, the financial world has engineered tools that allow comparing oranges and apples—the IRR being a staple. Here’s the technical definition. Bear with me. The internal rate of return on an investment is the annualized effective compounded return rate that makes the net present value of all cash flows (both positive and negative) from a particular investment equal to zero. It can also be defined as the discount rate at which the present value of all future cash flows are equal to the initial investment or, in other words, the rate at which an investment breaks even. Simply put, the IRR of an investment is the discount (interest) rate at which the net present value of the cost of the investment (negative cash flows) equals the net present value of the benefits of the investment (positive cash flows/fair value). Say I invest $2,000 over two equal tranches, six months apart, which after a year from the initial investment is worth $2,200. In this case, the first $1,000 will accrue interest for one year, the second $1,000 will accrue interest for half a year, and the fair value of $2,200 will not accrue any interest. For the total net cash flows from these three activities to equal zero, the internal discount rate must be 13.5%. This is the IRR. If we were to change some of these factors; the second tranche occurs two months later than originally contemplated and the fair value is increased by $200, the adjusted IRR is now 32.1%. This is a particularly simple example. The IRR calculation is robust and can handle numerous cash in- and out-flows over non-linear timing intervals. 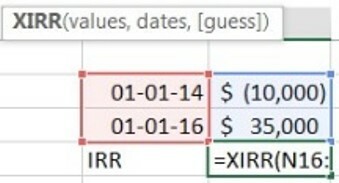 If I invest $10K and two years later it is worth $35K, my IRR is a whopping 87%, a great multiple of 3.5x cash-on-cash. However, let’s say that this investment is dragged out, and only yields the 3.5x after 20 years (! ), the diminished IRR of just 6% becomes much less attractive and you may want to look elsewhere to deploy your capital. Such is the case in liquid investments. As stated above, cash flows and timing are everything in the IRR calculation. When it comes to open funds, the unrealized fair market valuations (FMV) of the underlying companies are the only input available for analysis. Unfortunately, these values are highly speculative, subject to tremendous volatility and are fraught with risk. The FMV policies of funds will often differ, and as a result, so will their fair market values. As we are dealing with a subjective art as opposed to an objective science, there is little merit in the exercise. Accordingly, every IRR report that is published is covered head to toe with disclaimers. Timing has a tremendous impact on an IRR, specifically within the first year. Take a look at what happens to the IRR of an investment that doubles cash-over-cash, over a period of time. Note – the graph below starts from the third month only. 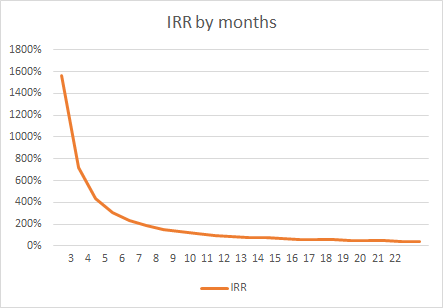 The IRR was so high during the first 60 days that the graph became a simple right angle, impossible to extract meaning from. One can see how volatile the IRR can be over an exceptionally short period of time in the life cycle of a company. Calculating the IRR of each deal in your portfolio is even more pointless. 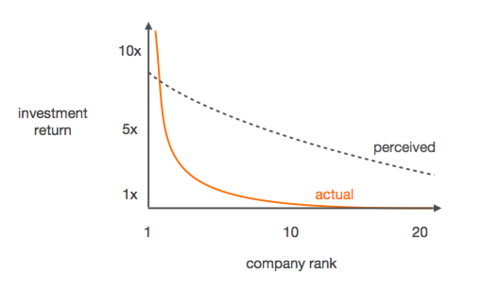 Don’t forget the golden rule of VC: the Power Law. Less experienced investors think that the spread of investment returns are linear; you win some and you lose some. However, venture returns are incredible skewed and actual distributions follow the Power Law, with just a handful of companies radically outperforming the others. In fact, the return of the few should offset all the gains and losses of the combined balance of the portfolio. Here’s a real example from Andreesen Horowitz: in 2010 the firm invested $250K in Instagram. Just 2 years later, Facebook acquired that company for $1B, and Andreesen Horowitz netted $78M! That’s a 312x return, and almost two thousand percent IRR. However, in a strange way, this wasn’t nearly enough, because Andreesen Horowitz’s fund was $1.5B: assuming they only wrote checks for $250K, they would have had to make this kind of return 19 times just to break even! And so, whilst individual deal economics may look promising, it is the success of the overall portfolio that actually makes an impact on an investor’s wealth position. Fund managers aim to identify the most promising startups that have the potential exit to cover the losses of all the other investments in the portfolio. A swing for the fences; go big or go home kind of attitude. With such high risk in these choices, it is no surprise that sadly, most startups do not IPO or get acquired, but rather shrivel up and die. But for a few precious companies that continue to raise capital and live another day, most companies fold along the way, giving fact to realized losses. As such, the losses of a portfolio become apparent much earlier on in the fund’s life. Immediate down turns before correction and (hopeful) profitability is affectionately referred to as the “J curve”. Even in the absence of losses, another reason for the J Curve’s presence is that a fund manager would typically deduct management fees at the outset of the fund’s activities. This means that the fair value of a fund will continue to fall as management fees are drawn down. 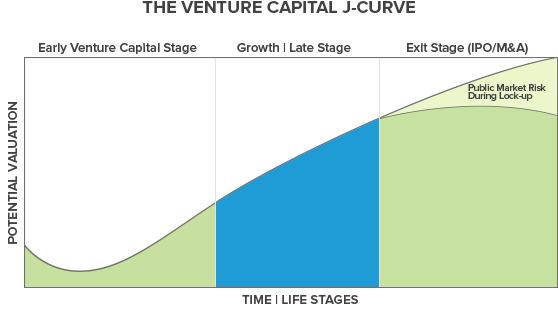 During these low times of the J curve lifecycle, it is not uncommon for investors to see negative IRRs, unrealized losses, company write-offs and suffer high blood pressure. As such, these natural teething periods in any funds lifecycle makes looking at the IRR meaningless. The worst case scenario is when an investor panics, acts irrationally, and tries to sell his or her position in the fund on a secondary market (which inevitable will be at some discount to the expected return). A disciplined investor would stay put and ride out the wave. As explained above, the IRR equation takes current fair value as an end point. Some companies, however, successfully raise enough cash such that they don’t need to raise additional capital (and therefore revalue themselves) for exceedingly long periods of time. In such a case where the investment remains at cost, the IRR will remain at zero, despite tremendous company growth and development. This could give the misleading impression that a great company is simply mediocre. Contemplate Magic Leap, a US based VR company that recently raised approximately $800 million from a first tier consortium, led by Alibaba. Presumably, this mega-round will give the company enough growth capital to last some time and the company will not revalue itself during this period. As positions in funds are generally illiquid with little room to get out, the whole notion of an IRR as a way of being able to compare different investment opportunities seems moot. Usually, if one investment is not performing, an investor would sell that position and put his or her money to work elsewhere. When it comes to venture capital, this option is not readily available, and there is little recourse one can take. OK, So why do funds publish their IRRs? Once a fund is in its mature life cycle stage, and has some realized returns under its belt, the IRR becomes meaningful. But until that stage, the jury is still out. When VCs are looking to raise subsequent funds, previous funds’ realized IRRs become the indicator of the fund manager’s ability to pick winning companies. This is a way for VC’s to market their own ability and at the same time highlight the fact that their returns are (hopefully) exceeding those of public markets. So How Can I Track My Investments? The best way to track your portfolio’s success is by looking at the bigger picture of how the underlying companies are operating. Some of the typical metrics taught in accounting or business schools simply aren’t appropriate when it comes to assessing the health of a fledgling startup. Has the company attracted additional institutional and strategic investment? 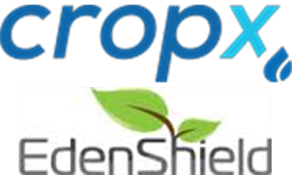 Has the company successfully on-boarded an exceptional C-suite? Does the company’s product/market fit still seem compelling? Have other companies in the space been acquired? Is the company’s IP portfolio robust? Is the company hitting its milestones and executing on its business plan? I hope the answers to the above points are overwhelmingly positive for at least one of your portfolio companies. If so, you may be backing a winner! Airbnb and Uber may have become household terms, but they are far from being the only successful players in the sharing economy, also known as the gig economy, the peer economy and collaborative consumption – terms that refer to technology companies that enable individuals to rent out their under-used assets or skills. Companies like Chegg (homework help), WeWork (office sharing), Lyft (ride sharing), TaskRabbit (household errands), SoBi (bike sharing), Prosper (peer-to-peer lending), Boatbound (boat sharing), Zipcar (car sharing) and Etsy (a handmade marketplace) – as well as “Golden Oldie” eBay – are just some of the noteworthy names in the sharing space. The sharing economy has developed to cover a wide variety of core verticals, the primary ones being transportation, real estate, goods, and money, but that also has seen interesting developments in areas like utilities, health, food, and the corporate arena. But what makes the sharing economy significant, and why is it growing so fast? Part of the answer is that it brings together strangers by mobilizing technology, markets, and crowdsourcing capabilities, which creates a novel way of doing business that has already disrupted several industries and is poised to change many aspects of how we work and play. It also generates new revenue opportunities for millions of private individuals, cuts costs on goods and services, and is healthy for the environment. The sharing economy can be particularly significant for people who have “holes” in their income or unstable income cycles, and it has already been shown to increase average monthly income by monetizing individuals’ private assets and time in new and creative ways. According to a recent study conducted by JP Morgan, in any given month 2.5 million people, which is 1% of adults in the U.S., earn money through the sharing economy. The study indicates that Americans performing tasks on platforms like Uber and TaskRabbit earn an average of $533 extra per month, while people who rent assets on platforms like Airbnbn are making an average of $314 per month. Apart from increasing income, the sharing economy is also helping people reduce costs – for example, for expenses such as transportation and accommodations. Amazingly, the sharing economy has received more funding than the entire social networking space, which includes stars like Facebook, Twitter, and Snapshot. According to strategist Jeremiah Owyang and market intelligence firm VB Profiles, the sharing economy has thus far received a whopping total of $15 billion, and includes 17 billion-dollar companies with 60,000 employees. And it’s still in its infancy. According to PwC, the global sharing economy may currently be worth $15 billion per year but it is projected to grow to $335 billion by 2025. Intuitively, it makes sense that pay-for-use systems are better for the environment. With collaborative consumption, we are able to make better use of under-utilized products and minimize excess capacity. People only pay for what they use and don’t buy more than they want or need. There is an advantage to increasing our use of existing goods, while limiting our demand for new goods. 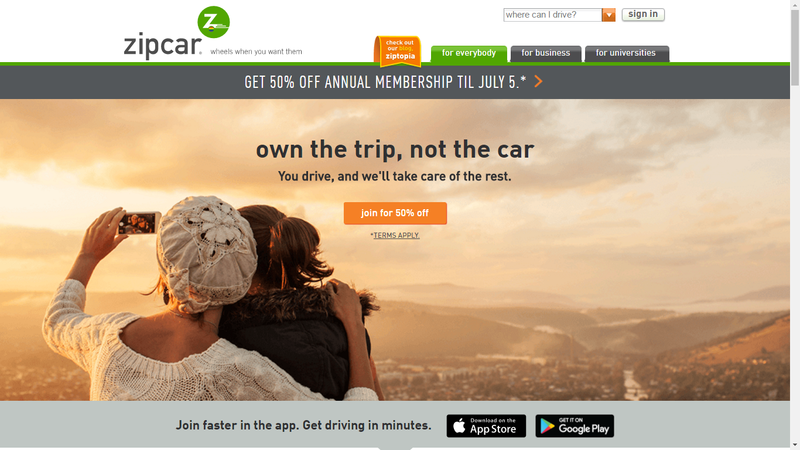 For example, Zipcar’s website states that “each Zipcar shared takes at least 20 personally owned vehicles off the road,” while Airbnb says that in a year, its guests saved the equivalent of enough water to fill 270 Olympic-sized pools. Similarly, Waze states that the use of its app lowers carbon dioxide emissions that are the result of rush-hour congestion by helping drivers find the routes that avoid the traffic jams. In addition, by monetizing under-utilized goods, the sharing economy could potentially prompt consumers to buy more expensive products that are extra durable or eco-friendly. For example, individuals who might otherwise not be able to afford an electric car could consider investing in one, knowing that some of the cost of the car could be offset through the income obtained by renting it out. Not all assets are appropriate for sharing; expensive assets that are underutilized tend to be more appropriate for sharing than inexpensive assets. For a majority of households, the two most expensive assets are real estate and cars, and this is one of the reasons why some of the most incredibly successful companies in the sharing economy have been in the areas of housing and transportation. Real estate is a natural industry for the sharing economy, with the wildly successful Airbnb leading the way. 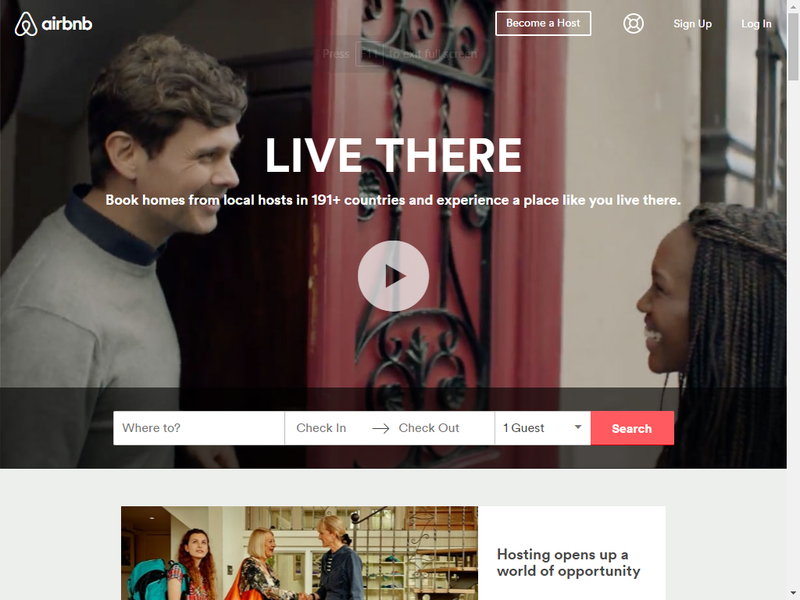 If you’ve been living under a rock, Airbnb is an online marketplace for vacation rentals that charges a fee for connecting users with property to rent with users looking to rent the property. Founded in 2008, today Airbnb has over 1,500,000 listing in 34,000 cities and 191 countries and, after its last round of funding last summer, its valuation was at $25.5 billion. The success of Airbnb has encouraged the creation of newer startups targeting slightly different segments of the market. One example is Splacer, an innovative marketplace that brings together people who own unique spaces and services with people who are looking to create event experiences such as meetings, workshops, parties, weddings, and exhibitions. 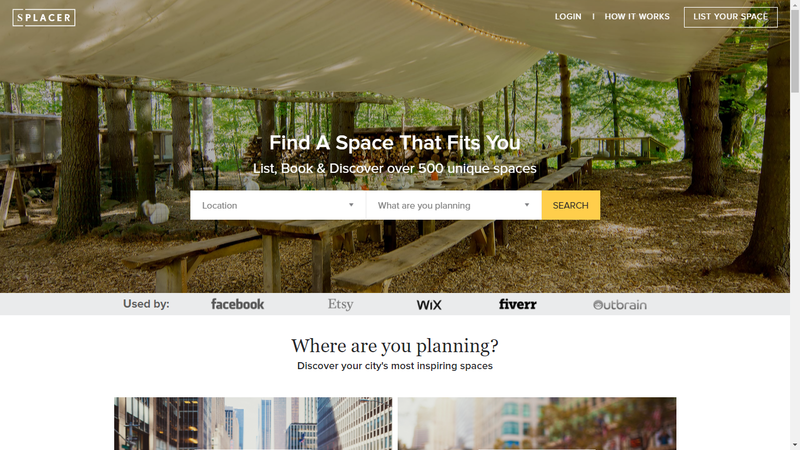 Founded in 2015 by Israeli entrepreneurs and architects Adi Biran (CEO) and Lihi Gerstner (COO), Splacer is a relatively new player in the sharing economy, currently focusing its efforts on New York City. A completely different model for space sharing was very successfully adopted by WeWork, which took the sharing economy into a more purely corporate direction. This fast-growing company gives freelancers, small businesses, and startups the option of coworking, i.e., using a shared office environment, while also providing them with a business community and convenient business services. Founded in 2010, WeWork is expanding rapidly and today, it has 54 locations across the U.S., Europe, and Israel, with plans to expand to reach every continent by 2017. WeWork’s recent $400 million funding round from Fidelity, J.P. Morgan, and other investors brought its total funding to $1.43 billion and raised its valuation to $16 billion. Somewhat parallel to real estate, vehicles for transportation are also expensive, private assets that are a natural fit for the peer economy. The clearest example of this is Uber, the ride-hailing company that, like Airbnb, is so fabulously successful that it has become a household name. 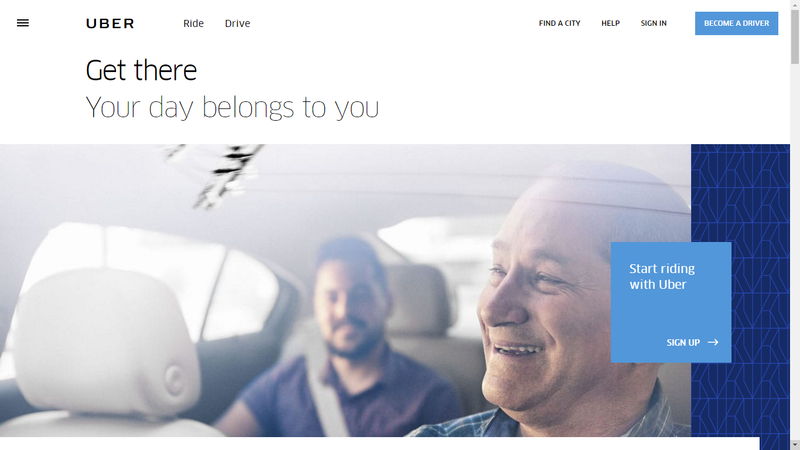 Founded in 2009, Uber develops and operates the Uber mobile app, which allows consumers with smartphones to submit a trip request that is then routed to Uber drivers, who use their own cars to transport the consumer on the trip. Today, Uber is available in over 66 countries and 449 cities worldwide, and its latest round of funding lifted its valuation to $62.5 billion. Moving beyond cars, additional forms of transportation have also taken off. 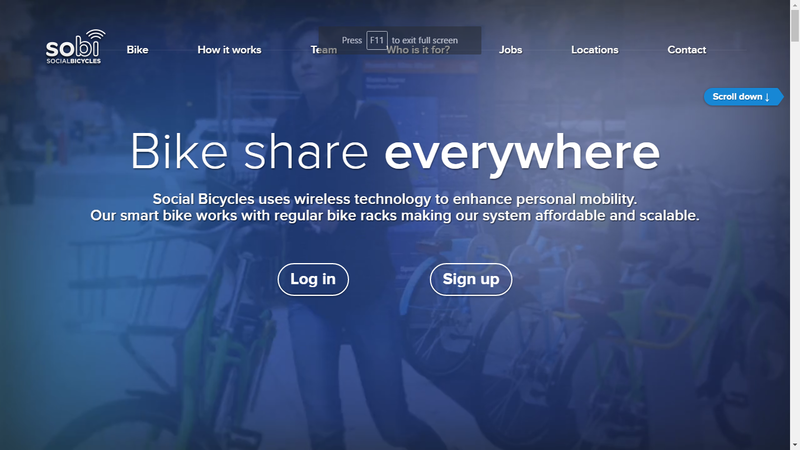 For example, dozens of bike sharing systems have been launched in the last three years. Some of the benefits of these bike sharing networks, which allow riders to rent and return bikes on-demand, include reduced car use, lower costs, and increased commuting speed. Companies include Zagster, which runs over 100 programs for cities, universities, corporate campuses, and hotels in the U.S.; B-Cycle, which has a technologically advanced system with solar-powered stations that operates in 29 cities in the U.S. and Chile; SoBi, developed in Israel, which offers smartphone-based, bike-sharing networks using mobile technology and GPS, such that all electronics are on the bicycles themselves; and Motivate, which runs 10 programs for local governments in the U.S., Canada, and Australia. 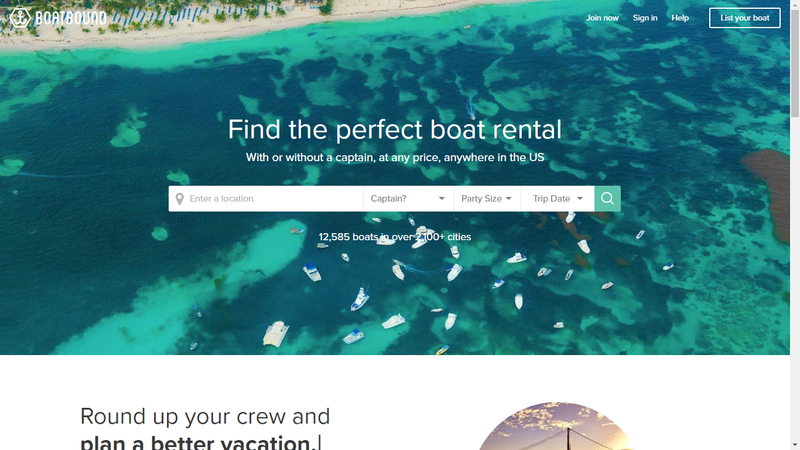 Peer-to-peer boat-renting startup Boatbound is another creative company – which calls itself the Airbnb for boats, aiming to make boating more accessible to everyone. The company functions as a matchmaker connecting renters with owners by location, boat size, and type, and hopes to open boating to a whole new class of boaters – specifically, people who don’t have the capital to buy their own boats. One of the things that sets Boatbound apart from other startups in the boating space is its $1 million Lloyd’s insurance plan, which means that their boats are better protected. Combining the strength of online networks (think Facebook, Twitter, and LinkedIn) and online marketplaces (think eBay, Uber, and Prosper), new models are emerging that can be classified as “market networks.” Market networks involve a many-to-many transaction pattern. They often start by enhancing a network of professionals that exists offline and moving these transaction into software. Some examples of this type of approach include AngelList, for startups, angel investors, and job seekers looking to work at startups; Joist, for the home remodel and construction industry; Houzz, in a similar industry but with a different model and broader reach; and DotLoop, for the residential real estate brokerage industry. And there’s another side to this story, as well. The sharing economy, like social platforms such as Facebook and Twitter, has a community and networking element that is contemporary, different from traditional alternatives, and attractive. Startups promise customers that they’ll make new friends and get to know new people while obtaining or providing goods and services, and this sets it apart from other kinds of business interactions. 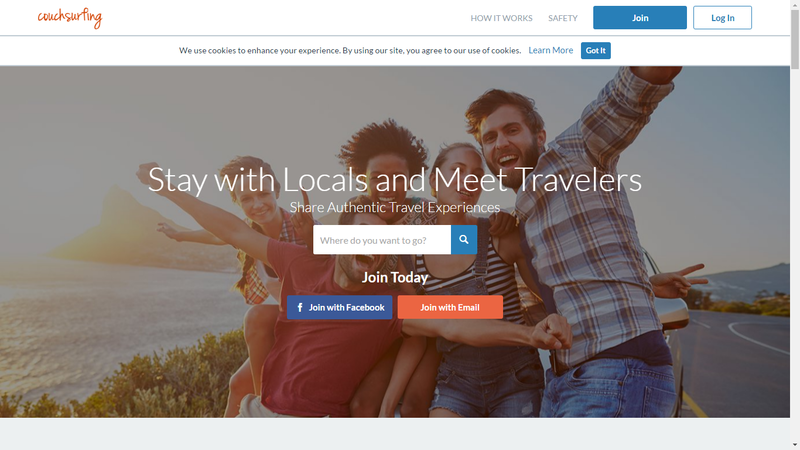 Couchsurfing, for example, a company that helps travelers find a place to stay, promises consumers that, “Couchsurfers open their homes and share their lives. 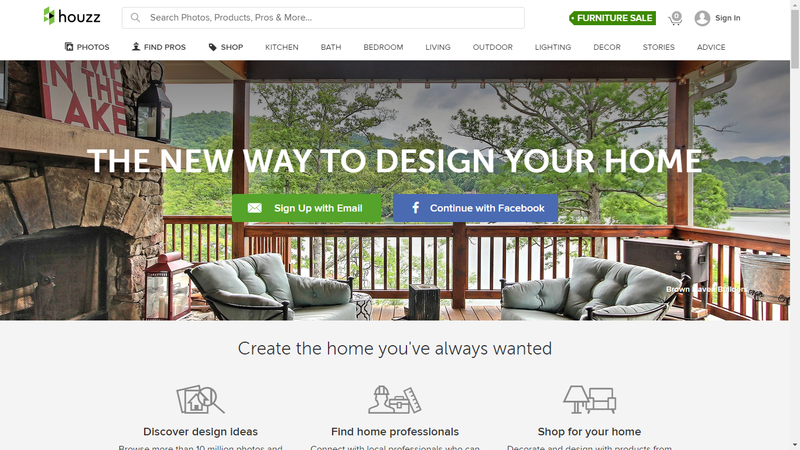 Connect and be inspired.” It’s definitely a different marketing message from what you’d expect to find on a hotel website. There’s a sense conveyed by these companies that you can trust the people you’re working with – that they’re nice, ordinary people, some of whom live nearby in your own community – and that the nature of the connection is not purely business exchange in the usual sense of the word. Some of that has to do with the local nature of many of these initiatives, meaning that they enable consumers to obtain goods and services from the neighbors who live next door, while some of it is also due to crowdsourcing features, i.e., the ratings and recommendations that appear on many sites. While the concepts of timesharing, carpooling, or renting spaces, for example, are not new, the latest Internet technologies have reduced transaction costs and created a previously-impossible availability of data about people and things – that allows assets to be as conveniently consumed as services. The Internet is, clearly, a major enabler of the growing sharing economy, with websites matching up owners and renters, and smartphones with GPS that allow consumers to find the products or services they want to rent. For everything from boats to bicycles, the sharing economy is disrupting industries and creating different options for consumers, while offering additional revenue streams for private individuals everywhere. To find out more about the sharing economy, Splacer, and other investment opportunities on our platform, contact our Investor Relations team or visit our website. Join OurCrowd for a live webinar with James Currier, Managing Partner of the NFX Guild in Silicon Valley, to learn more about the importance of network effects and how to identify companies that leverage them for sustainable growth. James is a serial-entrepreneur and investor in Lyft, Flickr, DoorDash, HoneyBook, AngelList, as well as current OurCrowd investment opportunity, Splacer. James is a well-known serial entrepreneur and investor. He is currently a Partner at Ooga Labs and co-founded Tickle, WonderHill, Iron Pearl, and Jiff. James is a sought-after growth advisor, and expert on network effects. 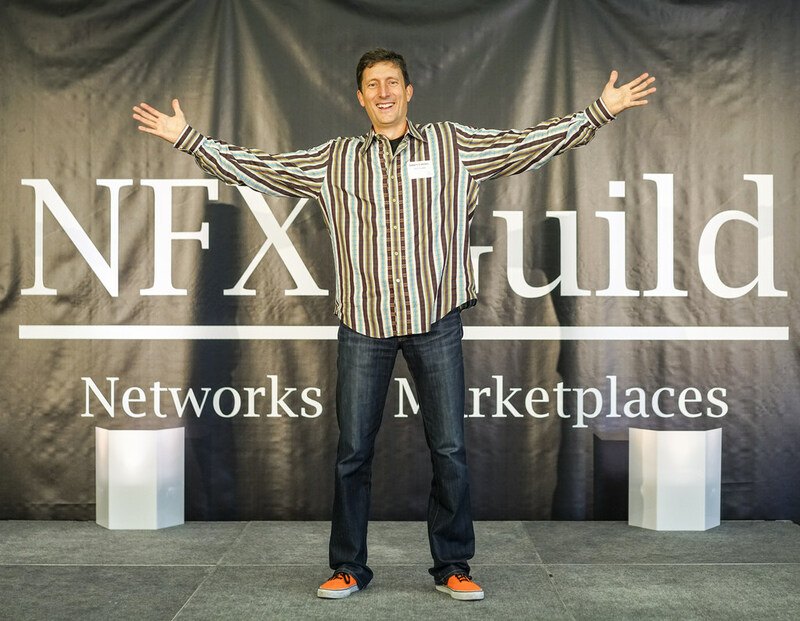 The NFX Guild is an invite-only guild for founders of digital networks and marketplaces. The group’s mission is to build one of the most powerful and impactful alumni networks in the world. NFX accepts applications from product-obsessed founders with a track record of excellence who want to build businesses with network effects. The three month program is held twice per year for 15-20 companies. Companies in the program can be post Series A, post Seed, or pre Seed. The companies are provided $120k in exchange for 3%, 5%, or 7% equity depending on stage. 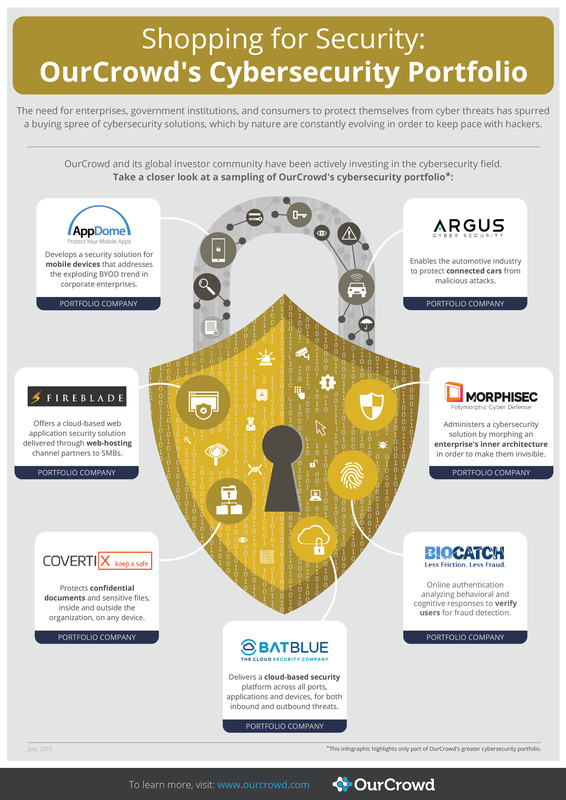 OurCrowd’s current investment opportunity, Splacer, was recently admitted to the program.